Kevin Ryan, a private investigator from Montgomery County, rolls down the passenger-side window of his car to examine the parking lot of a shuttered business on Erie Avenue in Kensington while searching last Thursday night for a missing teen. In the frigid hours after last week's "bomb cyclone" whirled through Philadelphia, Kevin Ryan isn't home keeping warm. He's driving through the snow in Kensington, in the dark, searching for a young girl. Jackie, 16, (not her real name) is a runaway and addict from the Philadelphia suburbs who has disappeared for the third time in less than five months. Her mother has asked Ryan, a private investigator from the suburbs, to help track her down — again. The girl took off on December 28, a couple of days into the recent stretch of Arctic temperatures that gripped the region. Her family was worried sick and distraught by her latest flight after months of crisis and costly intervention. Ryan, a 43-year-old father, doesn't downplay Jackie's frightening talent for evasion. Slight in size, the girl pictured in photos on Facebook is a formidable fighter. On this night, Ryan claims to have received reliable information that Jackie will be in Kensington, presumably to score heroin after another relapse. 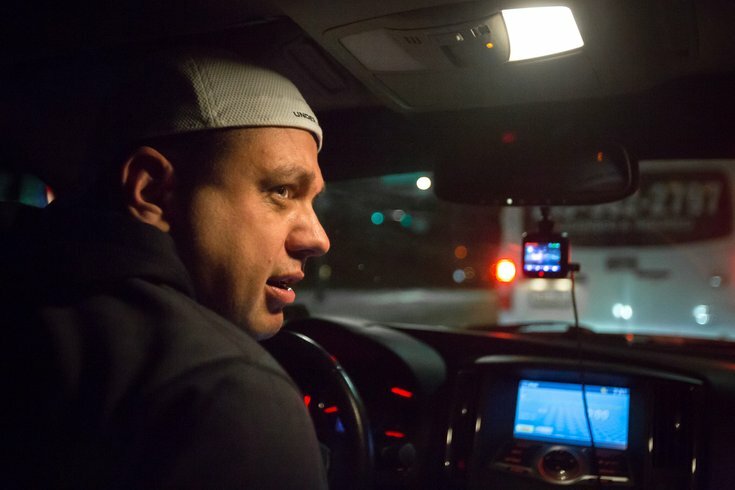 "If we see her tonight, I'm going to have to chase her down and hogtie her," says the private investigator, cautious at the wheel during a ride-along through half-plowed city streets. "She will fight back." That tenacity could help her overcome the most powerful addiction in the world. It could keep her away from the death-dealing pit of Kensington's tent encampments. It could. But if it were anywhere near that simple, 60,000 Americans wouldn't have died from drug overdoses last year. What happens to kids like Jackie may well determine how much worse things will get before they improve. That's why Ryan won't relent until Jackie is home safe. Law enforcement never did much for Kevin Ryan, who spent a few months doing community policing in Florida as a younger man. It was too rigidly structured. Ryan gave it up, did his research and dove into the more lucrative art of private sector investigations. In Pennsylvania, Ryan soon earned a reputation as a sharp private eye in insurance claims investigations, workers compensation cases and other undercover services. As the current director of operations and chief investigator for CEW Solutions in Plymouth Meeting, Montgomery County, he runs a team of investigators who take recorded statements and conduct video surveillance for white-collar crime cases throughout the Delaware Valley. A life-changing phone call in October 2012 gave Ryan his first taste of the manic rush to free a family from its worst nightmare. Two teenagers from North Carolina, Jake Ziegler and Raymond Pierce, had gone missing after they left a party to drive four hours from Charlotte to Myrtle Beach. If they could make good time, they would catch the sunrise. They never made it. "I had a friend up here whose dad was friends with one of the boy's fathers," Ryan said. "The cops weren't doing anything about the case. The family was desperate for help." Ryan flew down to Charlotte and spent hours taking notes with the family of one of the missing boys. Twice, they drove the entire route between Charlotte and Myrtle Beach, but had no luck. Ryan flew home for a friend's wedding and returned to join the search efforts of a nonprofit community group. Only with the help of Verizon did records reveal a final ping from one of the teen's cellphones that led volunteer crews in the right direction. The missing Pontiac G6 was found submerged in a river. The bodies of both teens were inside the car. The driver had apparently fallen asleep, awoke abruptly and slammed on the brakes, sending the car tumbling down an embankment into the water, Ryan recalled. "That was just devastating. I lost 12 pounds in four days down there," Ryan said. "When a family member asks for your gut feeling, you have to be able to tell them the truth. 'We're looking for a motor vehicle accident. It's probably a recovery, not a rescue.' I knew at that point it was in me. It was in my blood." Private investigator Kevin Ryan shows the teen's missing persons flyer to two officers with the Philadelphia Police Department's 24th district during the search on Thursday, Jan. 4, 2018. Jackie first went missing in the run-up to Labor Day weekend. In late August, her parents had checked her in at a respected inpatient behavioral health facility in Montgomery County. Within 24 hours, Jackie and another girl had persuaded a third resident to pull the clinic's fire alarm. While everyone else assembled outside, Jackie and her accomplice scaled a 12-foot fence and bolted through the woods. "I got involved in the case probably about four days afterward," Ryan said. "I can never be the one to reach out to families with missing people. It always has to be a referral. When Jackie's mom called me, I dropped what I was doing and went to take notes." Since that first investigation in North Carolina about five years ago, Ryan has worked about 50 missing persons cases, providing his investigative skills free to the families. Just two of those people remain missing, Ryan said, but only about half of those found were still alive. "When you're dealing with a teenager, everyone wants to assume drugs, prostitution, high school dropout, things like that," Ryan said. "I wait for the family to tell me. I have to see what life was like leading up to a disappearance." Like so many struggling addicts in the Philadelphia area, Ryan suspects Jackie was tempted by the dirt-cheap supply and easy admission to the city's heroin hotspots. "People here can promise girls like Jackie the world because the world is here for addicts," Ryan said. "This is the world to them and time is of the essence. Before long, they hook up with a pimp and get turned out just to stay high." Forlorn pockets of Kensington and Fairhill have languished for decades among the nation's most notorious, intractable drug territories. Dealers, transients and young suburbanites trickle in from near and far, blending in with chronically impoverished addicts to form a subculture in an otherwise proud neighborhood. Police and community groups, limited in time and resources, encounter the area's homeless despair on a daily basis. The sublime, chemical fellowship of dependency is as unnerving as the bodies found lifeless after an overdose. Jackie was gone for 10 days when she fled treatment in late August. Ryan, responding to tips from law enforcement, came to find her in Kensington. The girl who had escaped the facility with her had been located and provided information about where she and Jackie had been staying. "I'm not doing anything really different than what the police are doing," Kevin explained. "I'm just dedicating more attention to the case. You've got 7,000 cops here and probably over a million calls a year. One missing person is a small drop. You need to work with the police and keep them connected to your case. If you don't have that rapport, you don't have anything." Joined by several Philadelphia police officers, Ryan visited potential hideouts in the neighborhood. Further tips led the search crew to SEPTA's Allegheny Station, where an employee said he had just seen the girl in the "missing" poster get on a train headed to the 69th Street Terminal. Ryan and the officers dashed back to their cars. They raced the train under the El all the way to the station in Upper Darby. Jackie was intercepted when she arrived, without incident. "We knew it was just a matter of time," Ryan said. With runaways, he's every bit as confident they'll do it again as he is that they'll be caught again – assuming they're alive. 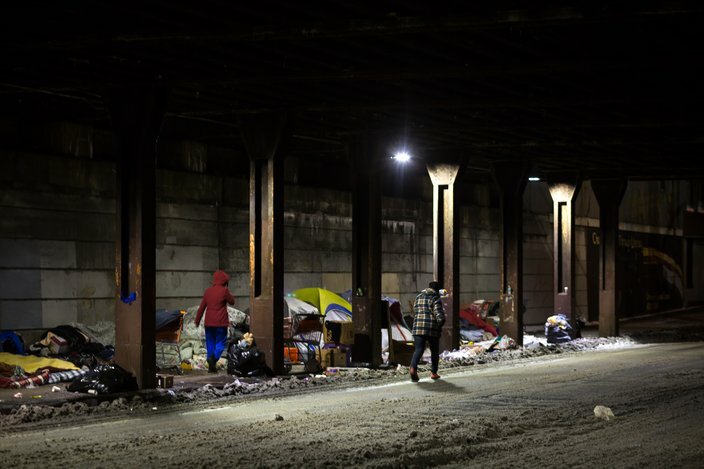 As temperatures dropped into the teens after a snowstorm last Thursday night, people huddle together in tents and on mattresses under piles of blankets lining the sidewalks of Kensington Avenue under the Conrail train tracks. With Jackie's case so fluid, her parents seek to protect her identity. Her situation is so delicate that even the two million impressions her "missing" poster garnered on social media are enough to leave them fearful about the exposure and its impact on her future. That's not always how these investigations work. Ryan is working another case on the high-profile disappearance of Amanda De Guio, a 27-year-old woman from Drexel Hill who hasn't been seen since June 2014. A mother of two, Amanda's painkiller addiction led her to heroin abuse and prostitution in the months before she went missing. Investigators believe she was last seen in Kensington. "A year-and-a-half in, they were on their second detective and still interviewing people like crazy," Ryan said. "I started interviewing the same people. 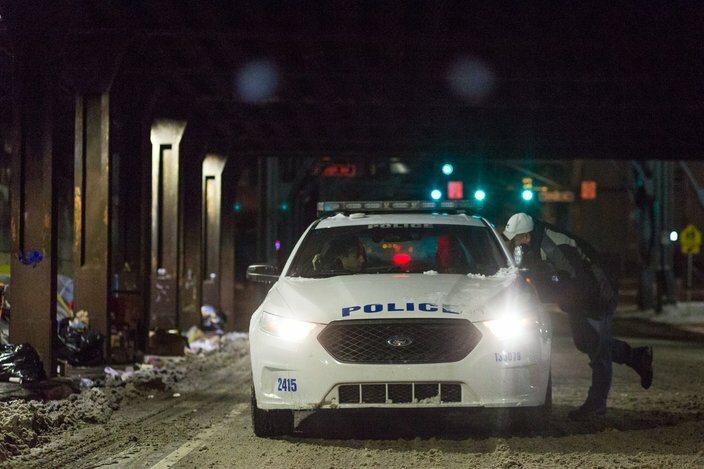 Jurisdictional issues kept police from leaving Upper Darby, so I started looking more in Kensington." Foul play hasn't been ruled out in De Guio's disappearance. When a hiker found human remains at Ridley Creek State Park in Media, Delaware County in January 2016, Upper Darby Police Superintendent Michael Chitwood suggested the body might be Amanda. The De Guio family was incensed by that bit of unqualified speculation. They had physical evidence proving the body wasn't a match. Chitwood took his statement back. Two years later, the family still holds out hope for Amanda's return, providing updates in their search on a public Facebook page. "You always have to go with the notion that they're alive if you don't have any evidence that they're not," said Ryan, who continues to seek leads for De Guio in Kensington. "And it's very sensitive for a private investigator. You're in a family's innermost problems. You have to become family with them." Now, in the dark streets of Kensington, Ryan is focused on getting a young girl back to her family. But so far this time, Jackie is nowhere to be found. Part Two: A phone call brings news.